Many of the people arbitrarily arrested in January after they attended a Buddhist ceremony in India are still being held in custody. Hundreds of Tibetans who attended an important Buddhist ceremony in January in India have been detained without charge by Chinese security officers on their return to Tibet, according to family members and friends living in exile in India, international human rights groups and officials with the Tibetan exile government. This is the first time that the Chinese authorities have detained large numbers of Tibetan pilgrims returning from the ceremony, held regularly in India among other places. Many of the pilgrims are elderly and have been detained for more than two months in central Tibet, or what China calls the Tibet Autonomous Region. The detainees are being interrogated and undergoing patriotic re-education classes, and have been ordered to denounce the Dalai Lama, who presided over the ceremony, known as the Kalachakra, say people who have researched the detentions. The detainees are being held at hotels, schools and military training centers or bases; some are being forced to pay for their lodging and meals. The detentions are expected to stoke resentment among Tibetans toward the Chinese government at a time when tensions across the Tibetan plateau are at the highest in years. The pilgrims were detained at checkpoints while returning overland via Nepal or while flying into Lhasa, the Tibetan capital. Some have been released, and many who were held in central Tibet but are officially registered as residents in other regions have been sent to those areas, according to the researchers, who interviewed released detainees and their friends and relatives. The Kalachakra ceremony, an important teaching ritual in Tibetan Buddhism, takes place some winters in Bodh Gaya, the site in the Indian state of Bihar where the Buddha is believed to have attained enlightenment. The Dalai Lama travels there from his home here in the Himalayan hill town of Dharamsala to give teachings, and Tibetans and other Buddhists from around the world attend. Though the Chinese government vilifies the Dalai Lama and calls him a “splittist,” some officials have been willing to quietly allow Tibetans to attend the ceremony, given its religious significance. This year, Chinese officials did not grant passports to many monks who wanted to attend, but they did loosen restrictions in other areas — Tibetans from Yunnan Province reportedly were allowed to attend for the first time. Many Tibetans going to the ceremony often travel with Chinese passports to India through Nepal or fly directly to India, and they avoid explicitly telling Chinese officials that they are planning to attend the Kalachakra. The Tibetan government-in-exile estimated that 8,000 Tibetans from Tibetan areas of China attended this year. It is unclear why Chinese officials allowed large numbers of Tibetan pilgrims to go abroad around the time of the Kalachakra, only to detain them upon their return. The crackdown appears to be part of the growing conflict in Tibetan areas, which in the last year have been the site of the most intense and sustained protests since the 2008 uprising. Most startling are the self-immolations: At least 32 people have set fire to themselves to protest Chinese rule; about two dozen of those have died. Chinese officials have said some of those who attempted self-immolation were mentally unstable or were acting under the Dalai Lama’s direction. The Dalai Lama has denied any involvement. “About the pilgrim returnees, last I heard was they were detained and many put in hotel rooms,” said Lobsang Sangay, the prime minister of the Tibetan government-in-exile. He added that the detainees had been “interrogated regularly,” with questions focusing on what various officials, including himself, the Dalai Lama and the previous prime minister, Samdhong Rinpoche, had said in speeches during the Kalachakra. 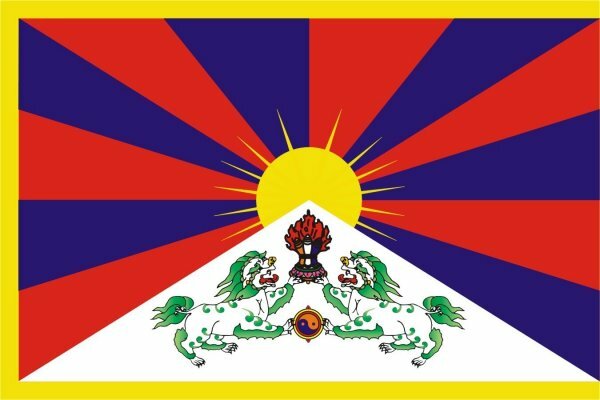 Human rights organizations and Tibet advocacy groups have put out reports based on information collected through interviews. “This is the first known instance since the late 1970s in which the Chinese authorities have detained laypeople in Tibet in large numbers to force them to undergo re-education,” Human Rights Watch said in a statement. The group said that it was unclear how long the detainees were being held, and that there had been no reports of any of the 700 Han, the dominant ethnic group in China, who attended the Kalachakra being detained. Calls made Friday to the Beijing offices of the United Front Work Department, which helps oversee Tibet policy, and to the border affairs office of the Tibet Autonomous Region went unanswered. On Tuesday, Radio Free Asia, which is financed by the United States government, reported that a large number of the detainees being held in Lhasa had been released that day, while at least 200 others being held in Lhoka, outside Lhasa, were still in custody. One Tibetan woman living in Dharamsala said in an interview that a relative of hers who had come for the Kalachakra was told by family members in Lhasa that officials wanted all pilgrims to return before Losar, the Tibetan New Year, which fell in late February. The relative rushed back to Lhasa but has not been heard from since and is presumed to be detained. The friend later realized that the coded message indicated that their mother had been detained in a guesthouse for interrogation and was being forced to pay the expenses for her stay. The mother was released for Losar but asked to return for further interrogation, Mr. Bhuchung Sonam said.